Added in version 2.3, edited for feature changes in 2.4.0. Sign in to your WordPress console. 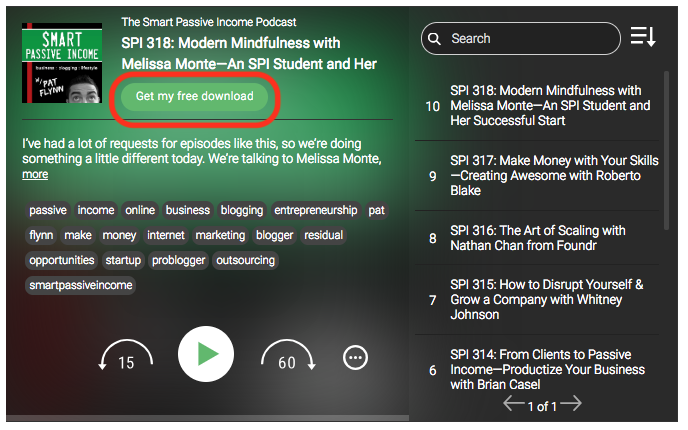 In the left-hand sidebar, go to Settings --> Smart Podcast Player. 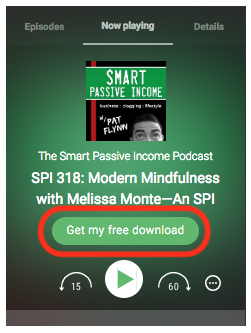 In the Smart Podcast Player Settings, select the Featured Button tab. In the field Featured button function, choose Email integration. Button text, enter the copy you would like to appear on your button. Use a short call to action. Set your Button background color. The text color will be determined by the Theme Style you have chosen. 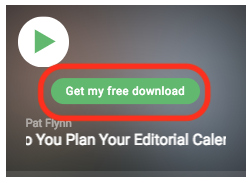 The Open Call to Action setting allows you to choose if the box will automatically pop up. By default, users will only see your email form if they push the button, but if you choose one of the other two options, the email form will automatically pop up. In the example above, the box will automatically pop up 60 seconds after an episode begins. In the Call to Action box, paste your email sign up form's HTML. You will find this inside your email service provider; usually it is in the settings for your sign-up form. Instructions for several email service providers are below. If yours isn’t included in this list, check your provider’s support database for instructions on how to create your sign-up form. Embedding instructions should be included in that article. This service requires special instructions. Follow our support article here. code will pop-up. Click the "Manage" Tab and select the form you wish to embed. Scroll down underneath the form submissions graphic and click "embed form" The form will popup. Note: If you want to have email capture featured on one page, but not featured on another, you'd set up email capture as you want in the Email Integration tab as usual. Then, for those player you don't want the email capture option shown, add email_portal="none" to your shortcode. Have any questions? Please don't hesitate to ask. 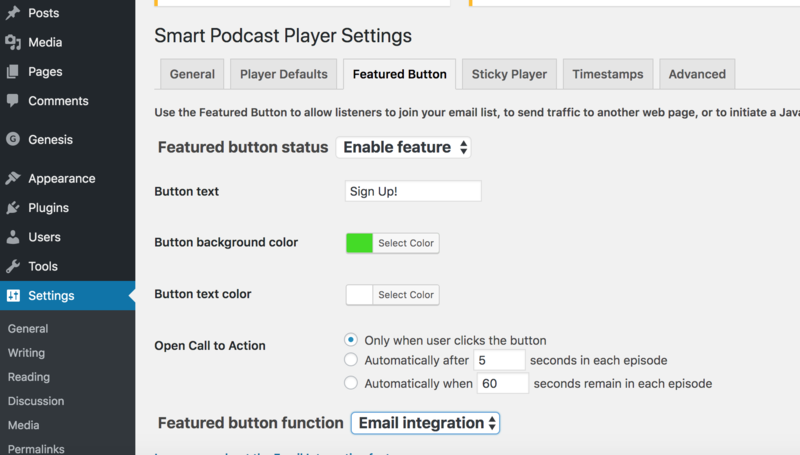 Shoot us an email at support@smartpodcastplayer.com.